Accurate portrait or thorough research? I was chatting with one of the Institue academics recently about the photographs in the exhibition currently in the foyer (The Outdoor Classroom, based on the photographs of the Architects & Buildings Branch). 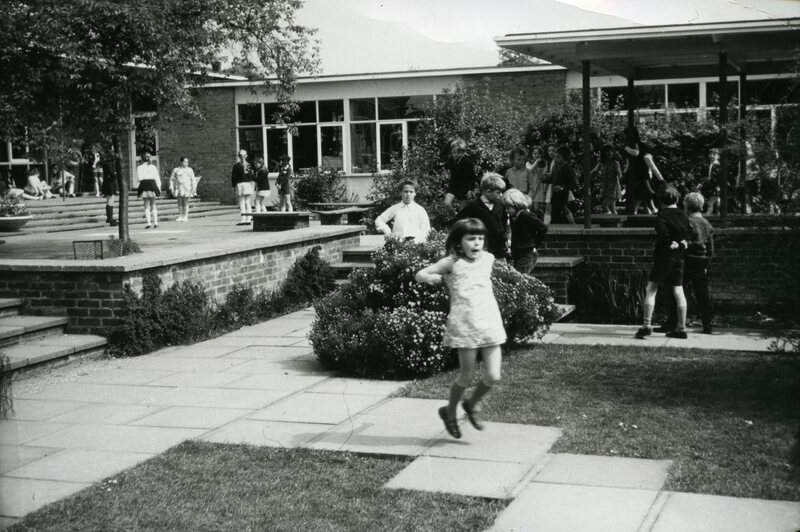 He particularly liked those that appear to document the everyday goings on of a school. Children running around the playground and behaving, well, like children! He commented that they were very different to those taken in the same period (1950s-1960s) in the States, where most images show children in classrooms, sitting up straight in rows. While it’s true that the Research and Development department of the A & B Branch wanted to document how schools were actually used with regards to how children interacted in them, could it be true that at the same time our American counterparts were trying to foster a picture of perfectly behaved children?! Or do we rather have quite a special resource given that these were primarily research photographs, rather than promotional images? After all, there are a few more ‘staged’ photographs in the collection too. This entry was posted in Archives and tagged A&B Branch, collections, photographs, schools. Bookmark the permalink.